How have you seen schools rising to the challenge, in your own community or across the state? 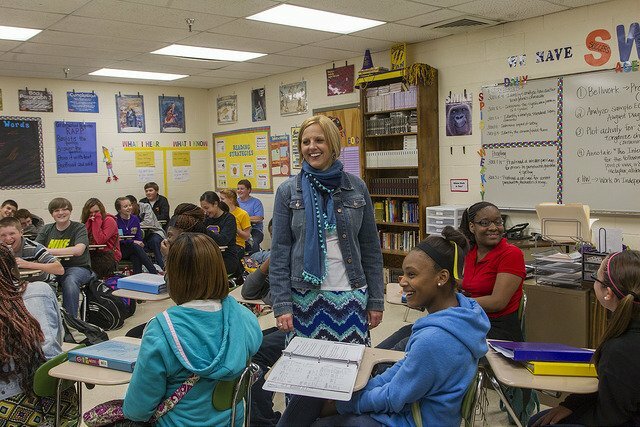 To complement the data-driven SCORE Prize, SCORE would like to celebrate teachers, school administrators, parents, and education-reform activists across Tennessee by collecting and sharing personal stories of how schools are boosting student performance. Emailing a photo and a brief summary to submissions@tennesseescore.org. Uploading your photo and summary to your personal Facebook profile, and tagging SCORE. Posting your photo and summary on the SCORE Facebook page, and tagging yourself (required) and your school (optional). Leaving a comment on this blog post, including your summary and a link to your photo. SCORE will curate photo submissions on Flickr and in a “Rise to the Challenge” album on the SCORE Facebook page. In addition, SCORE will highlight submissions in daily Twitter and Facebook updates and weekly posts on The Score Sheet. On September 13, SCORE will publish the top three stories on The SCORE Sheet and encourage readers to vote on their favorite entries by leaving a comment or tweeting. The top selection will be recognized at the SCORE Prize Award Event on September 20. The Rise to the Challenge campaign will continue to spread awareness of sustained momentum in the state education reform movement and spark discussion around innovative ideas and processes.